When multiple products are included in a deal or the competition is fierce or you are trying to “buy” a new logo, then you may want to go below floor pricing for a particular product. It may even be that you give one product away for ‘free’ in order to get a deal on 5 other products. Whatever the situation, there needs to be a process for getting deals-based pricing approved. If you have strong sales management with a keen eye on the bottom line, then their approval can be good enough. Our experience, however, is that if you include Finance in the process, not only do you get an unbiased view, but you also actively engage your Finance department in the realities of the business. It is good for the accountants to understand the pressures that the sales force faces. When Product Management is setting standard pricing, we believe three data points need to be considered every time. First you need the market information – what will a prospect pay for this service? If you think the service is awesome and should fetch $1,000/month but the feedback that you get from prospects is that they only value the service at $100/month, then you have a disconnect that needs to be reconciled. One way to accomplish that reconciliation is with competitive data. If the competition is getting $950/month from their service, then that gives weight to your $1,000/month argument. If a competitor is offering a comparable service for $150/month, well you get the idea. Finally, PM *must* take costs and margin into account. If your cost on the product example above is $200/month, then PM cannot and should not set standard pricing below that. Volume cannot solve the problem if you lose money on every sale. However, if the marketplace really won’t pay more than $100/month and your costs are $200/month, then you need to initiate a cost reduction plan immediately or choose not to sell the product. Back to our previous Golden Rule on deals-based pricing, one particular product could be sold below cost, provided that the margin is made up for on the other products in the deal. All of this assumes that you are working in a normal business model. If you are trying to buy market share or drive up top line revenue to make the company attractive for an acquisition, then you may look at a different pricing strategy, but otherwise, these Golden Rules should help ensure that you set up the right processes with the right owners. 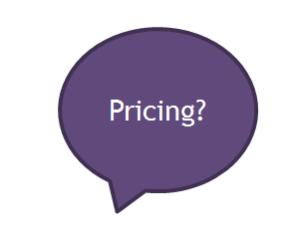 Pricing is yet another aspect of Product Management that is harder than it looks. But when done well, you can position your product for maximum sales, maximum revenue and maximum margin. The third blog in this series is about Sales Enablement. Please click here to keep reading.